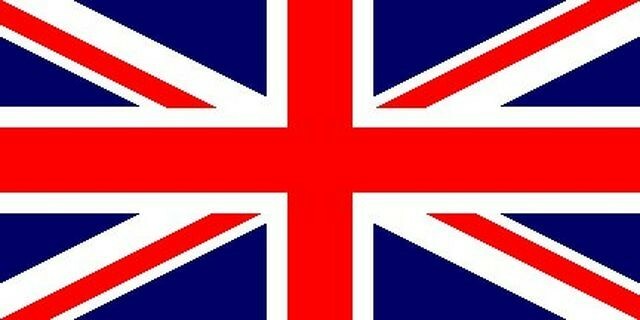 - Pack 6 Gin 70 cl. Do not know what to give that special person? Surprise her with our Gin Ruchey, the true loquat gin whose flavor reminiscent of the authentic and traditional London Dry Gin. 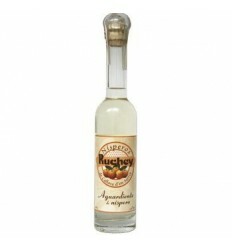 Slightly balsamic to the nose, the Gin Ruchey is spectacular the symbiosis created between the special touch that brings the juniper, native aromatic plant of the Sierra de Mariola, and the perfect balance that gives the medlar, cultivated in the cooperative that Ruchey has in Callosa d'en Sarrià and which has been collected with care and care. All this enlivened with the aroma of ripe citrus and the sensuality of cardamom, coriander and angelic root. 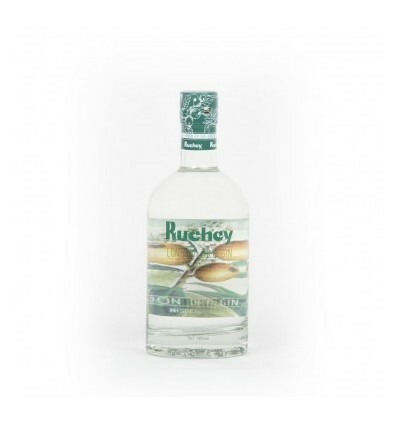 This liqueur is distilled in copper stills, in the purest traditional style, the Gin Ruchey is clean, light and dry to the palate. A luxurious gourmet product for the true gin and tonic lovers. 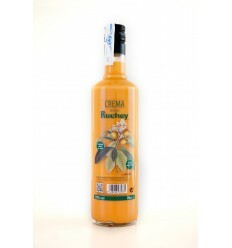 La Gin Ruchey is marketed in a single size of 70 cl, which includes gift box and glass. 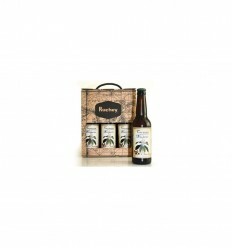 Also, we also offer the option of purchasing a pack of 6 bottles of 70 cl. 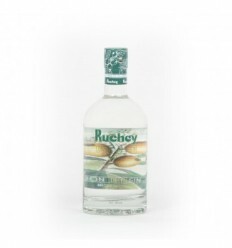 Gin Ruchey has the balanced taste of authentic and traditional London Dry Gin. 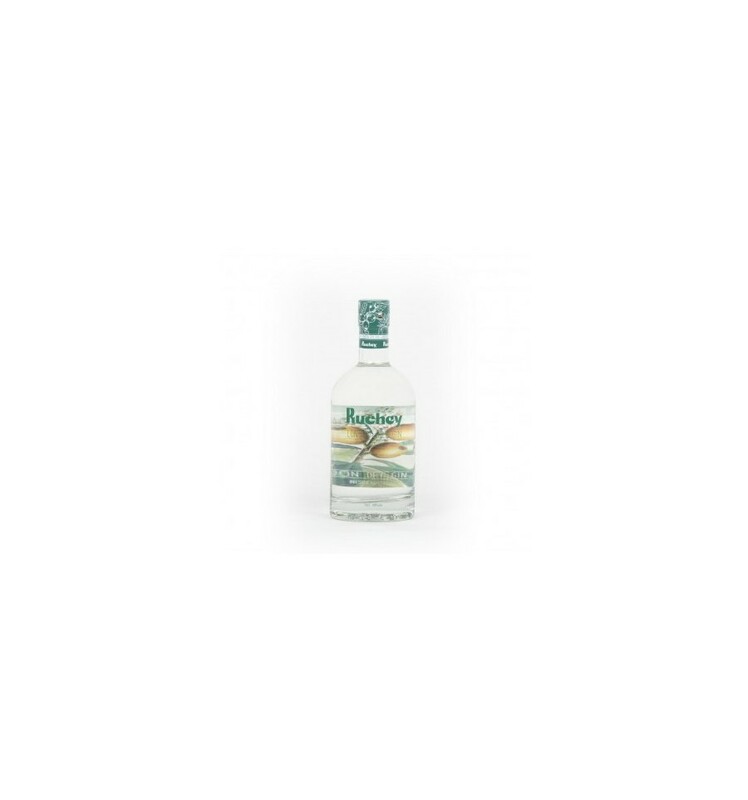 The nose is slightly balsamic, emphasizing the special touch of the native juniper of the Sierra de Mariola, in perfect balance with the softness of the loquat of Callosa d'en Sarrià and the aroma of ripe citrus. 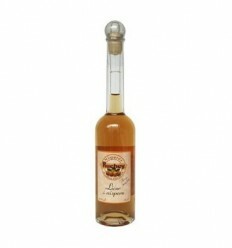 In the mouth it is clean, light and dry, perceiving the juniper, the loquat, citrus and slightly coriander.